Spring and early summer in the North Georgia Mountains bring a lot of excitement to the area. As the weather begins to warm up and the mountains begin to become green again, so many great activities become available. One annual event that you don’t want to miss is the Mountain Laurel Festival here in Clarkesville, Georgia! If you’re planning on visiting Glen-Ella Springs Inn around the month of May, there’s no better way to enhance your stay! Here’s everything you need to know about this celebration. Before packing your bags and heading for the Mountain Laurel Festival, make sure you leave room on your itinerary for North Georgia’s other exciting activities. For a complete, hand-picked list of the area’s best things to do, request access to our free North Georgia Vacation Guide! It’s the region’s best resource for planning truly unforgettable Appalachian vacations. 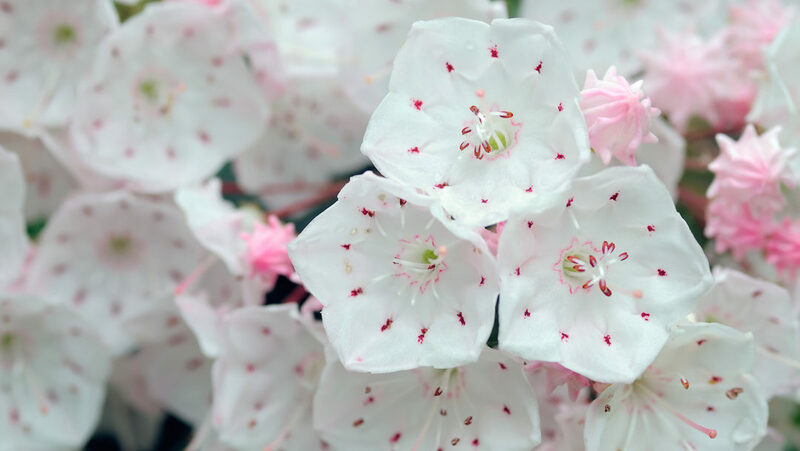 What Is the Mountain Laurel Festival? Every May, the Mountain Laurel Festival brings music, arts and crafts, local vendors, and garden displays to the North Georgia Mountains. The festival got its name from the flower that populates the region during the spring and early summer months. The Mountain Laurel is known throughout North Georgia as a symbol of renewal. It’s fitting that the festival celebrates the arrival of a brand new season! Be sure to look out for this lovely pink, red, and white blossom during your time at the festival. Its beautiful appearance reminds visitors and locals alike of the great things ahead! This vibrant festival offers plenty of activities and events that everyone in the family will enjoy! Each year, the festivities kick off with a pancake breakfast and parade. Afterward, visitors enjoy live musical entertainment provided by local artists and bands throughout the event. For those who enjoy browsing handmade arts and crafts, multiple artisans showcase their wares each year. It’s the perfect time to choose a Mother’s Day or Father’s Day gift! Other points of interest at the event include the Duck Dynasty Pageant, Soque River Duck Race, gardens, and delicious food. At the end of the festival, participants enjoy a grand finale fireworks show. For more details on what to expect at the Mountain Laurel Festival, keep an eye on the City of Clarkesville’s Facebook Page! The festival is free to attend. This traditional event takes place annually on the third Saturday of May between 10 a.m. and 10 p.m. Parking can be found in downtown Clarkesville and free shuttles to the event are available for all visitors. After planning your trip to the Mountain Laurel Festival, know that Glen-Ella Springs Inn is your perfect home away from home! Our elegant yet comfortable guest rooms feature comfortable beds, beautiful heart pine accents, and premium amenities like plush bathrobes. Additionally, our beautiful grounds will allow you to relax and simply soak in the stunning scenery. If hunger strikes after a full day of festival fun, reserve a table at our on-site restaurant! Every night, we serve up delicious fine dining dishes with southern flair. There is truly no better place to spend a weekend getaway from Atlanta or romantic escape! If you’re ready to experience an unforgettable trip to North Georgia, book your stay at Glen-Ella Springs Inn today! We can’t wait to meet you.